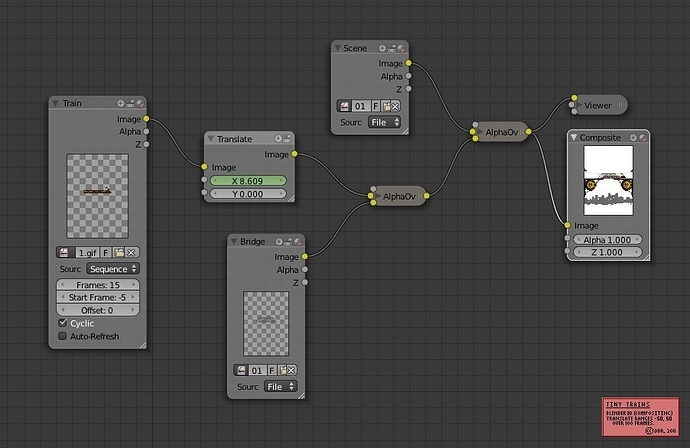 Blender3D’s compositing nodes can all be animated via the right-click menu, so it is a simple matter to create a node graph which offsets the train image, by time, before merging the scene layers together. There is a small host of effects available, but only a few suite pixel-art. It’s worth trying out, and Blender is a quick download. Overall, Blender has one of the best UIs that I’ve ever seen.